I love that snail mail is making a comeback. There are so many clever ideas out there! But, if you’re like me and limited in time, it isn’t always easy to sit down and write a note to a friend, let alone get our kiddos to do the same. To make things a little easier on myself (and on you, too! ), I love having pre-made cards handy for when I need them. And with my robot-loving boys, I knew just the kind I wanted to make for them. 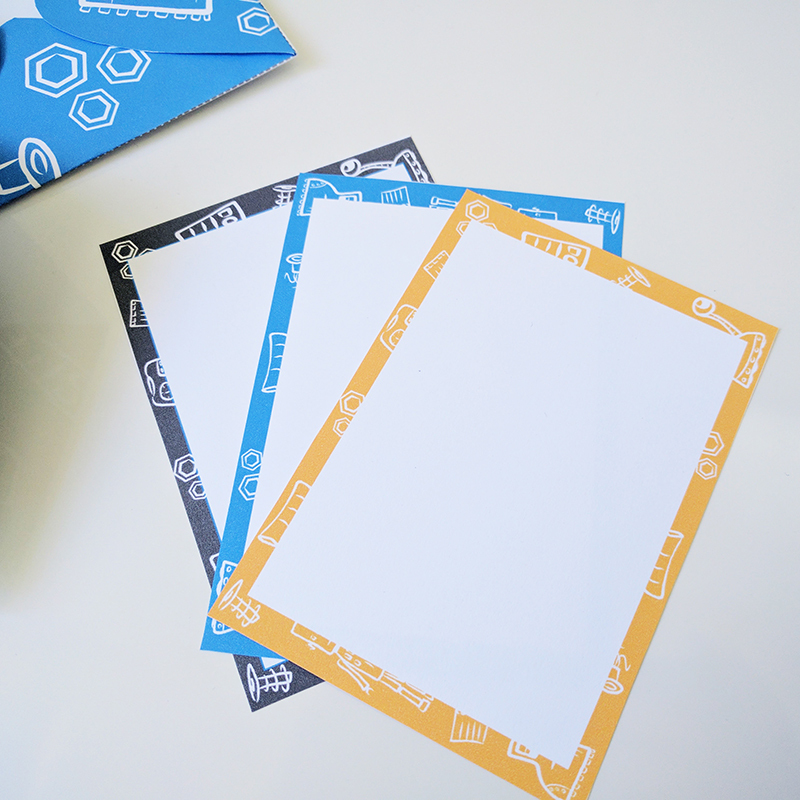 I’ve been geeking out a bit over these robot printable notecards and envelopes that I just put in my Etsy shop! Not only are they adorable, but they are super easy to print and assemble. 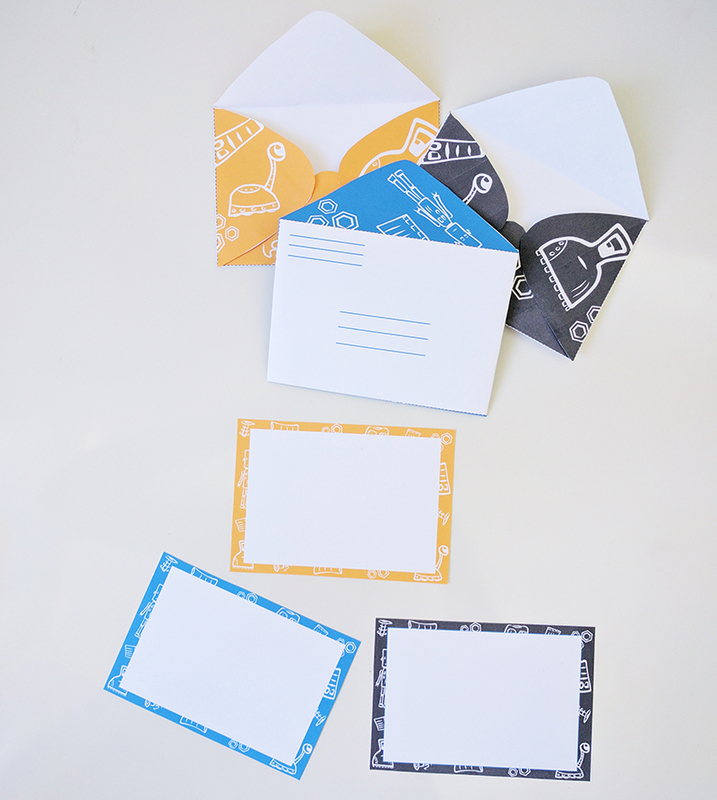 See how easy it is to put these little envelopes together? Just print them out, fold on the dotted lines, and use a little glue on the glue tabs. 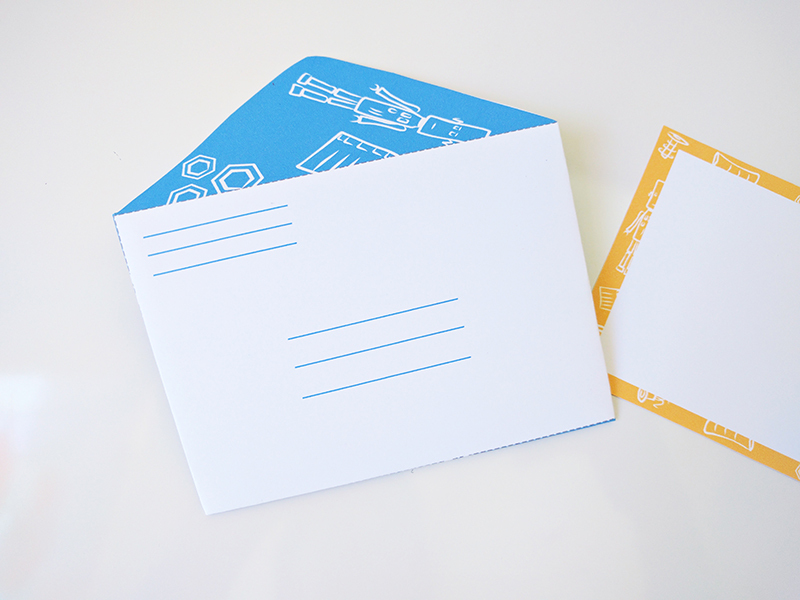 Once you’re ready to send your note, seal the envelope with a sticker or tape. 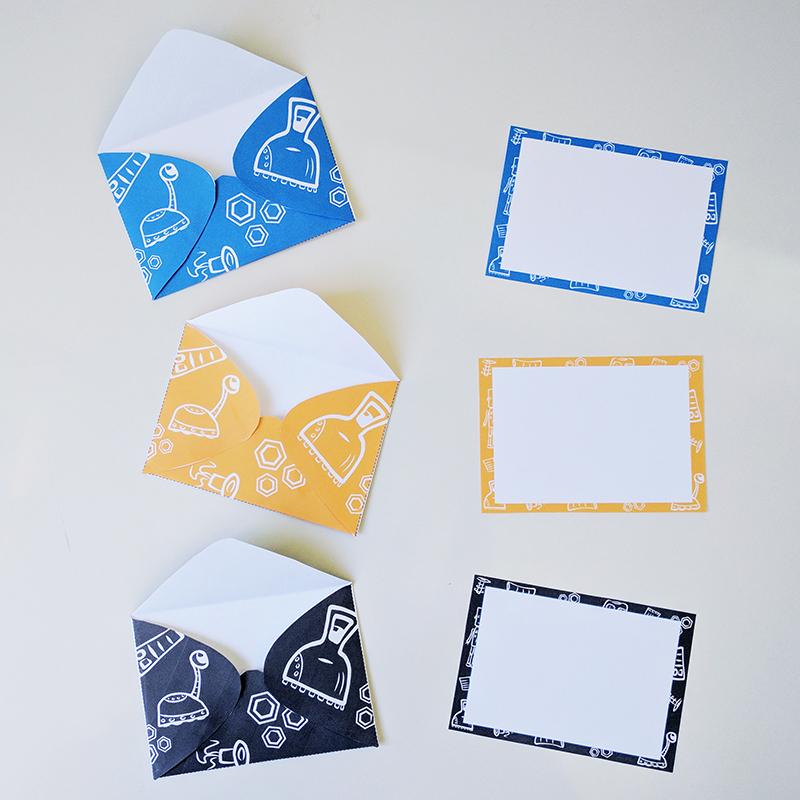 There are three envelopes and three cards – blue, gold, and dark grey. Each has a quirky little robot pattern on them. And there are handy lines on the envelope to fill out addresses. 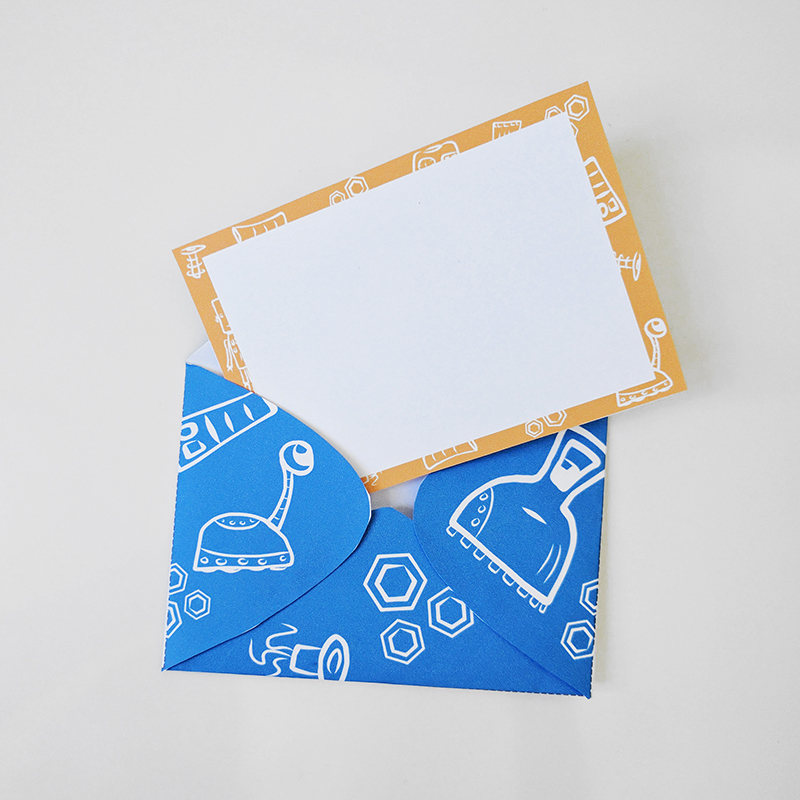 They’re perfect for robot lovers and kiddos who want to send notes to friends and family. My boys have had so much fun with them already. You can snag these colored robot notecards and envelopes here in my Etsy shop.